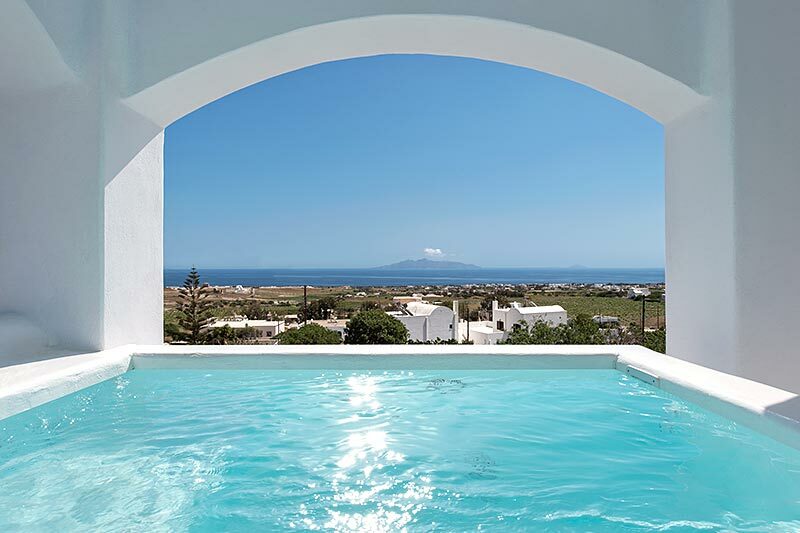 Gonia Residence is located at Exo Gonia, a small village about 6 kilometers southeast from Fira the capital of Santorini and next to Pyrgos village. Exo Gonia keeps its traditional character as it remains undeveloped with a specific number of cafes and restaurants and restricted accommodation options. Art Space Santorini, which hosts various cultural events, is only 350 meters from the property while a number of wineries can be found in the area. The location of the villas allows easy access to the famous black sand beaches of the island and to the archaeological site of Akrotiri. Fine dining options can be found in the nearby village of Pyrgos - 1km away.